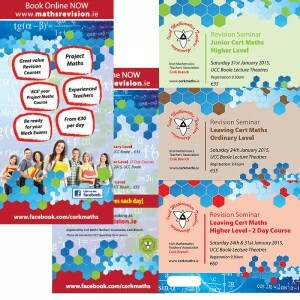 We hold Revision Seminars for both Leaving Cert and Junior Cert Higher Students. Our Revision Courses are best value out there and are delivered by experienc ed Teachers. Students travel from Kerry, Tipperary and Waterford for our courses and places fill fast. Project Maths is a key focus of our revision courses for 2019.